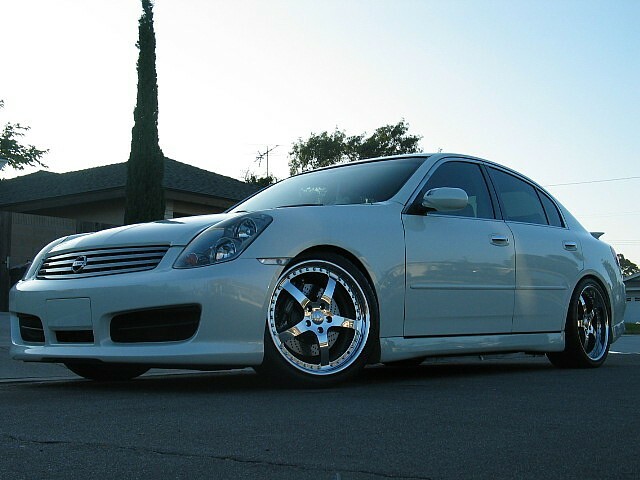 here is a pic of mine, 04 sedan Injen CAI,Borla TD,Helix race pipes, 350Z track rims, Teins. 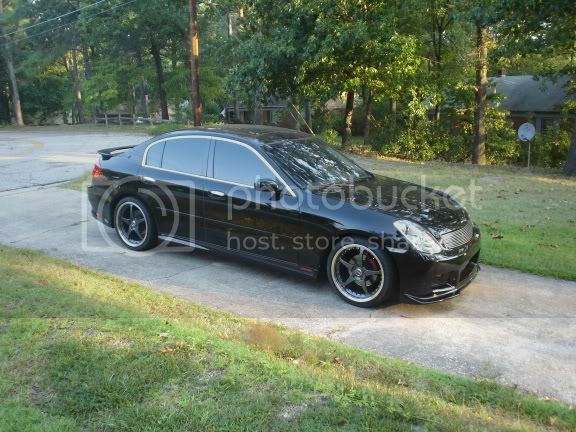 2005 6MT sedan, Twilight Blue, Stone, Premium pkg, aero pkg, navigation, Z-tube, clear bra, clear corners, Infiniti front spoiler from aero kit. Last edited by DaveO; 05-17-2007 at 04:54 AM. Oops, my bad. 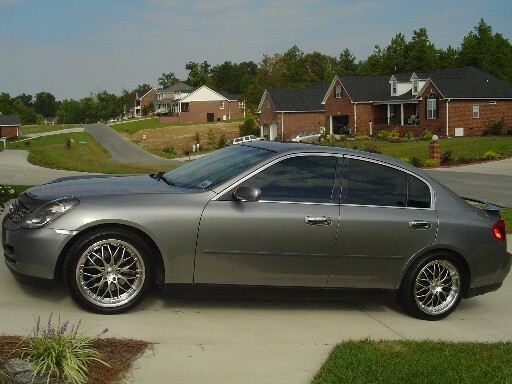 Well we got this girl with Premium C, no Navi 2005 G35x for $35k, not including tax, title, etc. fees. 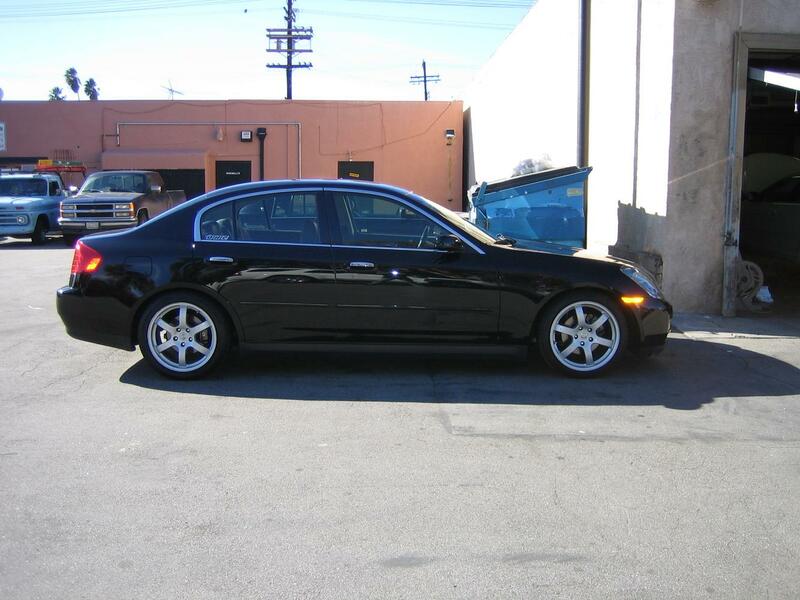 Not an owner, but I did get one as a loaner today while my 04 coupe was being serviced. 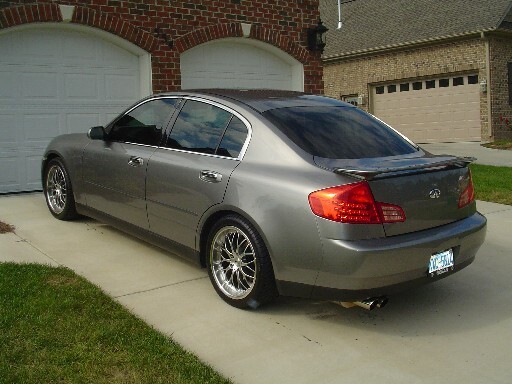 It was a 2K5 G35X, nice ride, good handling, nice power band, the AWD "felt" different but good . Only things I didn't really like about it is that the instrument cluster is reversed, that is new for all the G's in 05 though as I have learned and the ***** for the heat control and radio. The whole keyless thing is pretty cool as well. 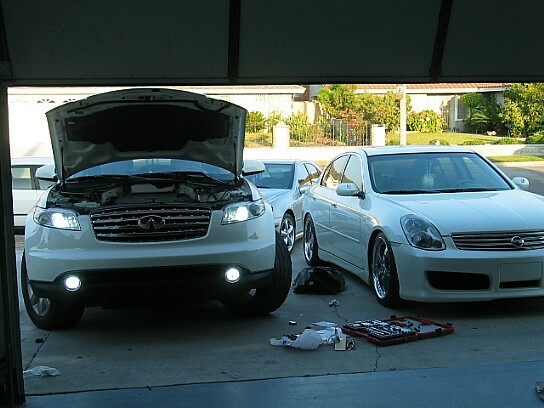 2005 G35s -big changes coming in the next month.